"Just to let you know I joined your service this week for a month. Great service, I'm far from an expert on horses but how you picked ' Yasir' at 16/1 and American life in the 2 selections today was brilliant. I had an ew double on them. Also some great winners in the past few days. I'll be on board with a years membership when my month is up. Well done , keep up the great work." Timeform Radio and Cheltenham Racecourse pundit. 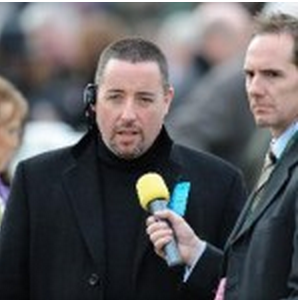 Irish Field Naps correspondent and Will Hill radio guest analyst. As well as value selections you also get an education in value betting. "The only bet on the card comes in the shape of veteran Wor Rom in the 4.40. He’s possibly the one horse in the field you can put your finger on who won’t have any issues with this extended trip in soft ground, and the addition of first time blinkers may well rejuvenate him (has run well in cheekpieces before). With Andrew Thornton on board to bump him along, he should be staying on better than most here and ought not be out of the frame at worst"
Nice one, Rory. Was screaming at Mr Orr to stop looking behind him on the run-in, but did it pretty comfortably to be fair. Pity the sods at Unibet refused the bet, so I had to take “only” 28s elsewhere.